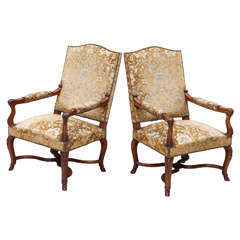 Pair of Spanish Colonial style armchairs, having leather seats and backs, brass nailheads and a beautiful patina throughout, 18th century or earlier. 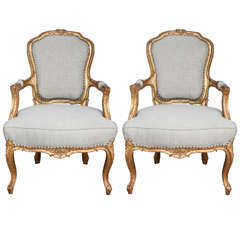 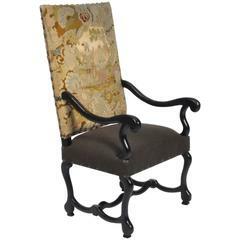 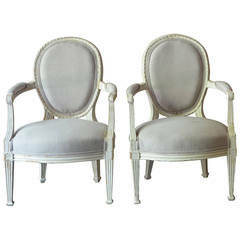 Pair of 19th c. finely Carved French Giltwood Armchairs with flower motif. 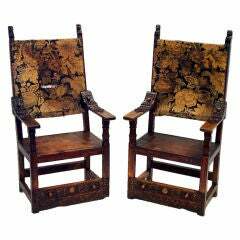 Pair of 19th century French walnut armchairs with fine carving and hoof feet. 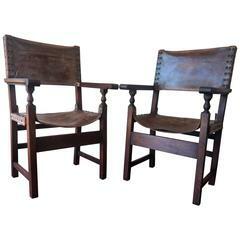 The price quoted below is for a pair but there are two pairs in total available.